How do I use Purge Paper for pipe welding? We recommend the purge paper be applied 6″-in. (152 mm) from each side of the preheated area, or weld joint, leaving a 12″-in. (304 mm) purge chamber. If the purge paper is too close to the heat affected zone of the pre-heat equipment, grinding area, or weld root it can cause the purge paper to char. Charred purge paper does not completely dissolve. Purge Paper shelf life: How long does Purge Paper last? According to specifications, purge paper shelf life is one year from the date of purchase. That said, we are aware of many welders that have used the material past this date with no apparent ill effects. Purge Paper heat capacity: How much heat will Purge Paper take? Purge paper heat capacity is well beyond atmospheric temperature exposure (high heat) levels. However, during welding, ensure that the purge paper and tape are set far enough away from the heat affected zone – typically a greater than 300 degree F temperature range – to avoid any charring or burning. This charring or burning will physically change the paper and may eliminate its ability to dissolve and possibly be flushed through the pipe via water or steam. How should Purge Paper be stored? Purge Paper should be stored indoors, away from moisture, kept in its original packaging. How quickly does the Purge Paper dissolve in water? 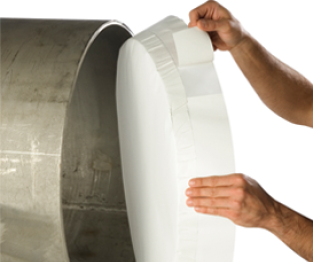 Standard ASW 35 paper (.0035″ thick) in non-moving water breaks down in 20-30 seconds. Flushing with water or steam breaks the paper down immediately and it completely dissolves in seconds. Is Purge Paper soluble in JP-4 or JP-5 jet fuel? NO! Purge paper does not dissolve in jet fuel. Neither Purge Paper nor Purge Film is soluble in jet fuel. Both of these purging products require water in order to be effectively dissolved. Jet fuel has little or no actual water content. The purge paper and film both just congeal and come out in messy, gummy clumps.